As part of an Academy Trust, Hathershaw College looks like a fun place to learn and this is also reflected in the way that the College’s leavers hoodies were designed. 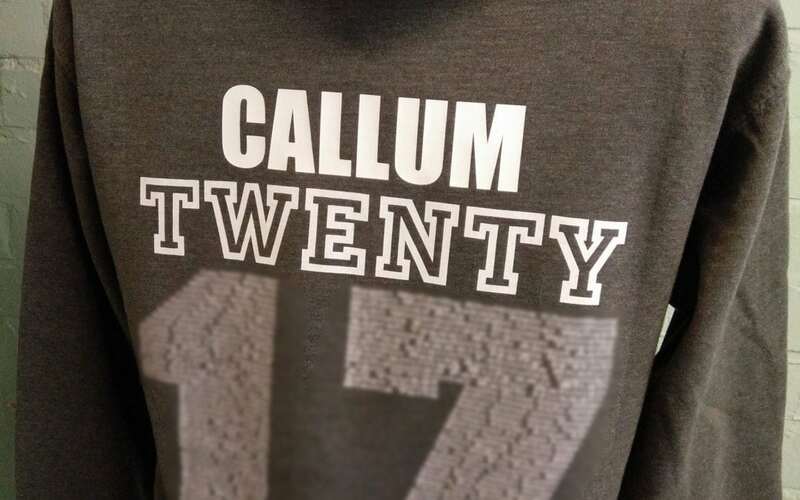 Using an inclusive grey as the base colour, student names are printed over the top in white, above the word ‘twenty’, which is followed by the number 17 – to represent the class of 2017 by using both wording and numbers. Even more creatively, the names of students from that year group are then printed into the numbers 1 and 7, which further personalises every hoodie. 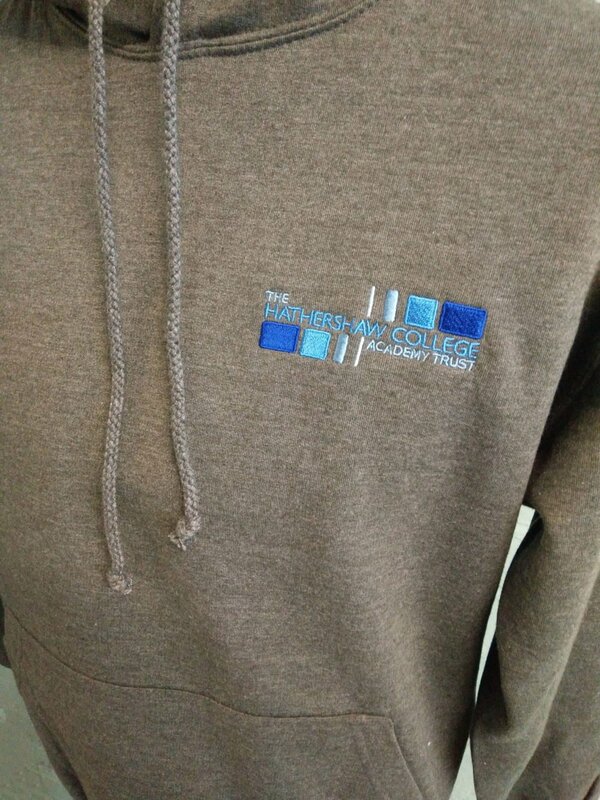 The Hathershaw College logo is embroidered as an emblem on the front of the leavers hoodie, using the college’s signature shades of blue. 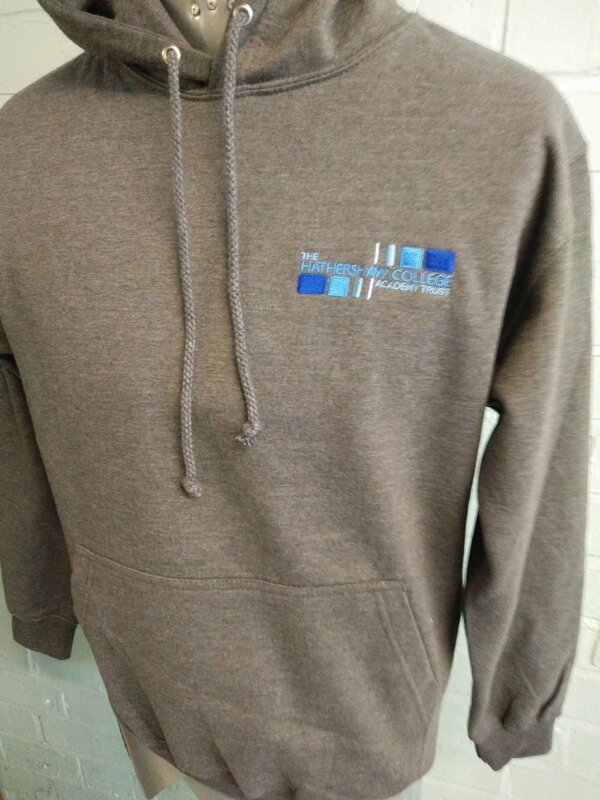 A fantastic hoodie, we hope this is one that students will want to keep and use forever. To find out more about making a personalised hoodie for your school or college, please feel free to contact us and we’ll be happy to answer any questions about the vast array of hoodies and designs we have available to you.